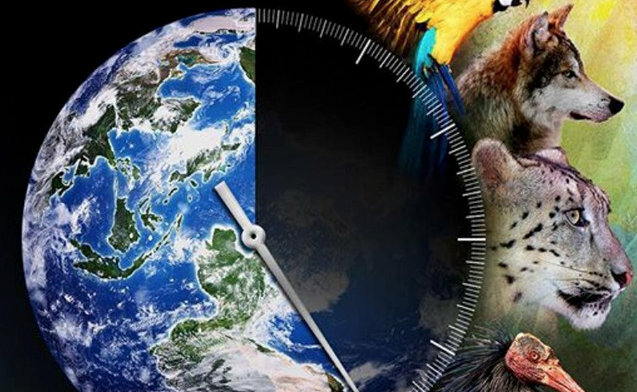 Earlier today I wrote about a new report that shows that in the last fifty years humanity has wiped out 60% of the mammals, birds, fish, and reptiles who share this planet with us. And I quoted scientists who said that the destruction of nature is as dangerous as climate change. So I thought I'd share this story where both climate change and the destruction of biodiversity are both combining to devastate coastal waters. By triggering an invasion of the so called ocean cockroaches. 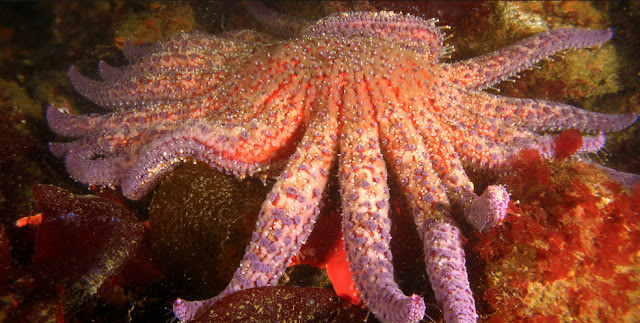 First humans reduced the numbers of sea otters who feed on the purple urchins, then climate change is believed to have killed off another urchin predator, the massive sunflower starfish. Then a blob of warm water reduced the process of upwelling that brings up nutrients from the depths to fertilize the kelp fields. 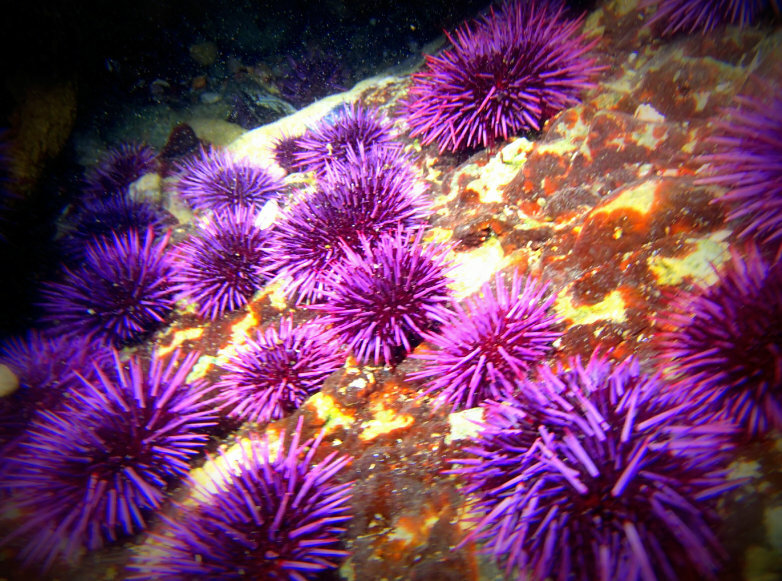 When the kelp started to die, so did the edible abalone snails who depend on it for food and the larger red urchins. And the worst could be still to come. Locals worry that rockfish — like sculpin, rock cod and red snapper — may be next. They spawn in the kelp forest. 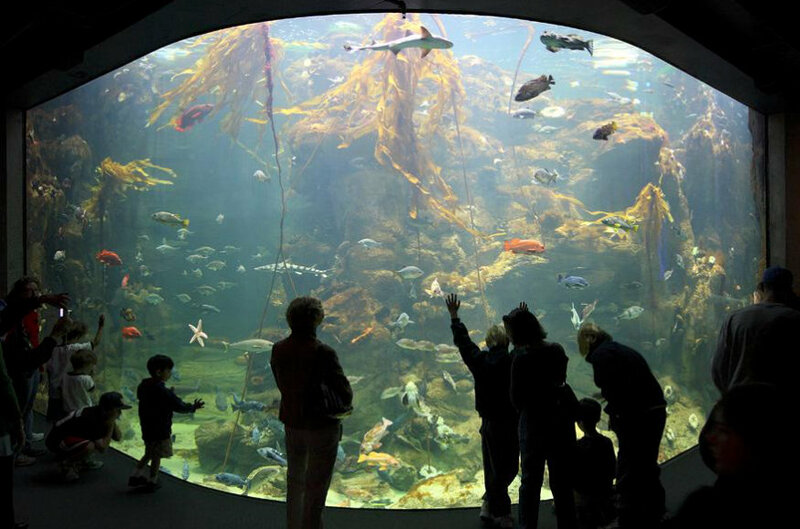 Worldwide, 100 species of rockfish rely on kelp, said Rebecca Johnson, who leads the California Academy of Sciences Citizen Science program. The good news is that a new generation is taking over, and I believe it will be able to rebuild the world on a new foundation. Before we are reduced to seeing the natural wonders we once took for granted, through the eye of a time machine. There is at least one place in Northern California where visitors can still see what the bull kelp forests used to look like. The California Academy of Sciences in San Francisco has a 100,000-gallon saltwater tank, designed to mirror the Northern California coast, where you can see abalone, urchins both purple and red, sunflower starfish and bull kelp bobbing near the surface. It is beautiful, but it feels like a time machine. They took all the trees and put 'em in a tree museum. And they charged the people a dollar and a half to see 'em. Systems under stress tend to become more variable and less predictable, the environment is no exception. More complex higher order life forms that require some short term stability for existence are the first to go and will be replaced by simpler and potentially more lethal life forms. Humans have been blessed with the ability to record the past and use it to project into and to some extent modify the future to our benefit. Materialistic Cons with their divine intervention spiritual mythology ignore the obvious at everyone's peril.